Have you ever noticed that chocolate melts under pressure & heat? If you haven't, take a piece of chocolate and hold it between your fingers! It will soon melt! If you are a Christian, you need to be active in your local church so that you don't melt under pressure and you will remain firm in your faith! Otherwise you will be a chocolate Christian who easily gives up under the stress and pressure of every day life!At a church local to where you live, you are needed regardless of who you are!Perhaps this is you? When Jesus said to His apostles "I tell you the truth, anyone who has faith in me will do what I have been doing. He will do even greater things than these, because I am going to the Father." (John 14:12), it was through the promised Holy Spirit (John 14:17), and the impartation of Spiritual Gifts that His words were fulfilled. The reason that the Holy Spirit imparts spiritual gifts to Christians is so that the body of Christ is built up (Ephesians 4:12), for the common good of the church (1Corinthians 12:7, 14:12) and "so that in all things God may be praised through Jesus Christ." (1 Peter 4:12). These three reasons signify that God wants Christians to be active in service and not still like stagnant water. That is why we have been given gifts and if these gifts are not used for God's purposes, then they are utterly useless and meaningless. And the gifts are not just the supposedly spectacular gifts but also the supposedly mundane! Cleaning is as much a spiritual gift as preaching is! As we are not to neglect our gifts, or let other Christians neglect their gifts, we are to fan the gifts into flame (2 Timothy1:6). Much like blowing on embers and stirring them up will restart the flames of a fire! To do this, as Christians, we are to employ the gifts faithfully and by asking God to continue their development, strengthening and for opportunities to use them! Seek gifts that build up others, commands Paul (1 Corinthians 14:1-12). Ask God faithfully for gifts that give opportunity for service to God and others! As Christians, we are dependent upon each other, just as one part of the human body has dependence on another part. That is why we serve each other and use the gifts generously given by God. As all Christians have gifts, we have a responsibility to discover and develop them (1 Timothy 4:14)! God has called Christians and equipped them with spiritual gifts, and they are not to be neglected! You are a member of the body of Jesus Christ the church! If you are not being active that means the Church body is affected aversely! Its like a part of your body failing to do as it should! They are opportunities for Christians to serve other people. Some gifts like teaching, helping or leadership quite possibly are enhancements of natural abilities whilst others like faith, healing and miracles are from the Spirit's empowerment alone.In the Parable of the Talents (Matthew 25:14-30), Jesus intimates that those who follow Him, will be judged according to all that they have been given stewardship of! This includes things such as Spiritual Gifts (1 Corinthians 12:1-10), acts of service (Galatians 5:13) and material possessions (2 Corinthians 9:6-8)! These are used to accomplish three other items of Stewardship: mission, message and people. The Christian life is not to be static or inactive - it was never meant to be! The Christian life is to be dynamic! It is to be active. The word servant is key in Scripture. It is used at least 500 times in its various derivatives. When a Christian serves, God's honour is released. This is done because service shows the beauty and glory of Jesus Christ to those being served and to those watching. That is to be our motive for service. Serving is never to be about what you and I can get out of it. When that is the motive, God is not glorified. God's glory, honour and supremacy are to be the goal of a Christian's life. Spiritual growth comes from serving rather than being served. This is because what ever is given in service of God and others, your faith grows and Jesus Christ gives back even more. Jesus speaking in Matthew 25:15-30 tells of the rewards for faithful service and the penalties for being faithless. Serving others is a sign that you are trusting in and having faith in God. It's a visible aspect of your invisible faith. Service is the outward expression of your inner beliefs. Serving is an outward expression of your inner faith - an external working out of your inner salvation. Serving God and others is the mark of a spiritually mature (or spiritually maturing) Christian and through service, the greatest servant of all, Jesus Christ, is reflected in our lives. "For Jesus Christ, came to serve and give his very life for others" (Mark 10:45). As Christians we are to be as Jesus Christ (Romans 8:28; Philippians 2:5) and to serve. Yet if we are honest, we sometimes feel incapable, just as Moses did (Exodus 3). When the church is built up, unity will inevitably prevail and be built up. Philippians 2:4,21 "Each of you should look not only to your own interests, but also to the interests of others. For everyone looks out for his own interests, not those of Jesus Christ." Those verses written by Paul almost two thousand years ago still resonate loudly today. In our culture, particularly in the west, selfish individualism is endemic and rife. "I can do what I want, when I want, because I am right and always right." "Me, me, me", people cry through their actions and attitudes! Where material possessions take precedence and the desire for more is ever evident throughout all aspects of life. The interest of others is placed at the bottom of the pile - people are placed below possessions. These are twenty-first century gods and idols. Including, alas, even within the church itself! The god of the twenty-first century is "self-interest" and humanity bows to this god quite willingly, because it offers no threat. At its very source is pride! Their actions and attitude proudly proclaims "I am first, and everyone else is last". As Christians, what should our reaction be to this aspect of our culture? as Christians living within this societal culture, how are we and the Church to respond? share or download our iPhone App! I often hear people say that their church has the best worship and that other church worship services are inferior! Or I hear that a person has moved churches, because the experience is different and better there! What are we to think as Christians in the twenty first century about biblical worship? The Psalmist writes in Psalm 105:1-6: "Give thanks to the Lord and proclaim his greatness. Let the whole world know what he has done. Sing to him; yes, sing his praises. Tell everyone about his wonderful deeds. Exult in his holy name; rejoice, you who worship the Lord. Search for the Lord and for his strength; continually seek him. Remember the wonders he has performed, his miracles, and the rulings he has given, you children of his servant Abraham, you descendants of Jacob, his chosen ones." Today there are many different churches using different worship styles to worship the one True and Living God! We can even think of different churches in the New Testament worshipping differently, such as the church of Philippi church being more liturgical and ordered, while the church of Corinth is more free and less controlled! As His followers and His worshippers, we are required to worship God and to worship Him publicly and with others! There is a meaning of worship, whereby our very life is to be a spiritual act of worship according to Paul in Romans 12. Paul meant that every aspect of our life is to be an act of worship, where our life is to be for the majesty and honour of God! However, the definition of worship I want to talk about today is about public acts of worship, such as in a church or chapel service. Where worshipping is to give respect, honour and glory to God! When this is done in reverence, in truth and in submission to the Lord Jesus Christ, then the Christian Disciple continues to mature and grow spiritually. Let us look at the what, why and how of Biblical worship! Worship is, by way of act, attitude, or thought, a way of giving supreme honour and reverence to God! As Christian Disciples, God Almighty alone is worthy of our reverence, submission and worship. There are many other things that are worshipped and thus are ‘gods', with a small ‘g'. Money, careers, possessions, other people are 21st century examples of things which are worshipped by humans. Thus the threat of materialism is a huge danger to Christian Disciples, because the worship of material possessions takes the supreme place of worship to God, and some Christian Disciples have been duped by it! But the Bible clearly states that God alone is to be worshipped. For God is to carry the worshipping Christian Disciple, and not the Christian Disciple to carry the god. Perhaps the greatest reason that we worship is because God commands it! The 10 Commandments (Exodus 21v1-3) insist that God alone is worshipped, adored and paid homage to! As humans we are made in His image and as Christian Disciples, He owns us because we claim Jesus to be our Lord and Master! So it is right and just that we give worship to this God who paid the penalty for sin, so that we may be His children, and wants us to call Him Father! As Christian Disciples, we discover an inner personal satisfaction when God is worshipped and adored, both for the present and in the future (Romans 12v2; Col 3v24)! Another reason to give worship is that God deserves our worship! All of God's attributes demand that we revere and worship Him! His holiness, goodness, love, mercy and providence are but a beginning as to why He, and He alone, is worthy of our worship. It is by His grace, and through His grace alone, that we worship Him! How are we to worship? In some church services, a general confession of sin comes at the start. This is because before engaging in exultant praise, Christian Disciples should approach with penitence and examine their inner selves just as Isaiah did in Isaiah 6. We also gather in expectation of meeting God and that He will receive the worship! Worship services should consist of more than just singing songs. The church is 2000 years old and in that time a lot of resources can be found to help people worship, apart from singing songs! There are items like responsive prayers and psalms, whereby prayers and psalms are spoken between the congregation to each other and to the leader! 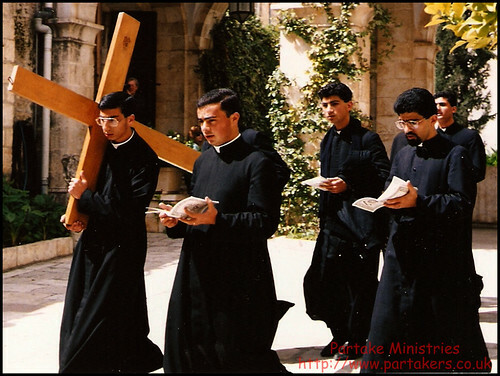 There are times of silence, or times of spoken liturgy where truths of God are both spoken and heard. Saying the Apostles Creed or Nicene Creed help build the body in affirming their belief in an awesome God worthy of worship! Times of worship should be more diverse than just singing songs and should express the cultural and personality diversity of the people worshipping! Remember, Jesus and certainly the early church participated in services which would certainly have contained liturgy, Scripture reading and songs! Other core parts of some worship services are the Holy Communion and Baptism! These were fundamental in churches in the New Testament period and are just as important today! Holy Communion is where we as Christian Disciples remember Jesus' death for our sin, acceptance of His death for us, and our dependence on Him for our spiritual life. Baptism is where Christian Disciples identify with the death, burial and resurrection of Jesus Christ. The third element of worship is the reading and preaching of the Bible! This where God's word is read in public! This is where God's Word is preached so as to that God's word can be applied to the hearer's lives! Sermons can be the pinnacle of a worship service as God's revealed word is expounded, talked about and explained! Yet, sadly, for a lot of people its not considered worship! It most certainly is! The whole of a church worship service should be where the spiritually comfortable are discomforted and those spiritually uncomfortable are comforted! From 1 Corinthians 14:25, worship should be where non-Christians present can proclaim, "God is really among you". So often our church worship services are flat, feeble and weak spiritually. At one extreme in churches, we have worship services that are flippant and no consideration to make worship an awe-inspiring time of devotion to an awesome God! At the other extreme, we have worship services where everybody looks like they have been sucking on lemons and where grace is obviously lacking. Somewhere in between, is where public worship should be. In the broad spectrum of being neither trivialized nor grace-less, is where our church worship services should be! Sometimes we need to worship, even if we don't feel like it and pray for God to help us worship Him. Over all this, is 1 Corinthians 14v26, which plainly states: "Everything that is done must be useful to all and build them up in the Lord". Public worship is for the encouragement of the gathered worshipping group of believers and not for the individual worshipper. The modern construct of only worshipping when its enjoyable or because the experience feels right is not a biblical construct. When you find yourself in a worship service with others, as long as what is being said and sung is biblical, keep worshipping. Even if the style or method is not to your own personal taste! Just because the church down the road from you worships in a different style to you, doesn't make their worship in valid! We have a God worthy of all types of worship! Don't grieve the Holy Spirit by trying to validate your own style over a different style, by saying your church worships better than any other! The Holy Spirit works in different places in different ways! Stop limiting the Holy Spirit! Through the energy and power of the Holy Spirit, any and all acts of church worship are done in reverence, in truth and in submission to the Lord Jesus Christ. Done regardless of our own personal taste, enjoyment level or experience. Main thing is to worship in Spirit and in truth, and that is surely to be a cause of joy, regardless of worship style! Let us use the diversity of worship styles to worship the One True Living God! For more to think about please do read 1 Corinthians 14v26-39. Q1. When I attend worship services, is it for the encouragement of others or just for myself? Q2. What are my favourite elements of worship and how should I react to those elements I don't like? Q3. Does my life of following Jesus Christ, match the words I sing and words I speak in church worship services? The Apostle Paul writing in Philippians 2:3-4 "Do nothing out of selfish ambition or vain conceit, but in humility consider others better than yourselves. Each of you should look not only to your own interests, but also to the interests of others." And finally, the Apostle Peter writing in 1 Peter 5:5-6 "All of you, clothe yourselves with humility toward one another, because, "God opposes the proud but gives grace to the humble." Humble yourselves, therefore, under God's mighty hand, that he may lift you up in due time." Contrast those values to those of the twenty first century society, where morality can be summed up in this kind of attitude: "The more you care for others, the more they will care for you." So look after the interests of others and you will also be looked after. In other words everyone is on level parity and there is total equality within society. In some of the more narcissistic and cynical parts of society, there is no other, the order is "me, me and more me and I am far more important and higher than anyone else". Individualism is where the individual's importance is placed higher than all others and is imbued with self-reliance and personal independence. Even when help and compassion are offered, so often there are strings attached and hoops to be jumped through. If you do this, we will do this for you. And sadly, it is not just within society that this exists, but also within the church and amongst Christians. It is as if we are denying the basic rule of compassion and mercy, which dictates that we are to be serving others, because they are also humans created in the image of God, loved by God and so should be loved unconditionally by those who proclaim to be God's people - the Church. Denying that basic need to others is pure unadulterated selfishness and places others below our own selves. Individualism within the church, lends itself to hypocritical behaviour and attitudes, which are inconsistent with Scripture and behaviour. Individualism, where you as an individual are placed at the front of the queue, is not loving others and not considering others higher than yourself. It certainly could not be construed as serving other people to always place your own desires above all others. There is an old acronym JOY - Jesus first, Others second, Yourself last. The basic aspect of love is that it involves relationship, so therefore there must be more than one person involved. God is love, and is a trinity of the Father, Son and Holy Spirit. If God were not Trinity then God could not also be love. The church community is meant to be a radical community of service and love, which is a reflection of the Trinitarian God. Being part of a radical community of service and love would mean the Church going back to basics. The Church needs individuals to be living radical lifestyles of devotion to Jesus Christ, engaging with the culture, counting the cost of discipleship and reflecting true humanity. But being an individual in community involves much more than merely being an individual in isolation. Christians are to be involved within communities, and not as isolationists. So what does a radical Christian community of individuals look like? Firstly, the church needs to be a community that is seen to be radical by the surrounding society. At Pentecost, the church began when the Holy Spirit filled the Disciples (Acts 2v4). This momentous occasion started the Discipleship process of how Christians were to live as God's people. The hallmarks of this community were commitment and transformation. This community was radical. It was where people's lives were being changed as the Holy Spirit filled them. Instead of being a withdrawn people filled with fear of retribution from the Roman government and Jewish leaders, they became a people filled with boldness and joy. The New Testament church grew by being a radical community imbued with radical individuals engaging with others. The very existence of the church today is proof that Jesus Christ really did rise from the dead, for if He did not, those who were His disciples would have disbanded and gone back to their old lifestyle and the Holy Spirit would not have come. If we want the church of today to grow then we need to be building a strong community of faith. A community, which involves joining together isolated and solitary individuals and where people are imbued with love, valued and are showing care to each other, in particular the frail, elderly and young, with what the theologian Jürgen Moltmann calls a "creative passion for the impossible." An inherent human need is the need to belong, and by fulfilling relational needs, the radical Church community will become relevant to the people within it. It will then also become relevant to those who are on the outside and looking in. For example, by using virtual reality, digital space and social networks, the housebound and geographically isolated peoples can also be included and cared for. This involves improving present societal conditions, rather than remaining a conservative community, which merely repairs the status quo. In doing this, today's church will be emulating characteristics of the early church (Acts 2v44-45). As individuals Christians were added to the church, discipline helped ensure that the community was being seen as a holy community. We see in the early church as recorded in the Book of Acts, that to be excommunicated from the community for gross sin, was a severe punishment. However church discipline is not primarily about punishment, but rather a formative and corrective service as part of Discipleship. Church community discipline is foundational to the making of Christian Disciples, because it concerns the community's spiritual health, and strengthens the bonds with the local community. The church must be a community of committed individual Christians, willing to radically follow God in lifestyle and behaviour. Being holy for the Christian means radically exhibiting love for God and others. It is by being seen as different from the surrounding society, that the church community will grow. Often when prayers are said, it is within the perception of the individual pray-er of what the answer to that prayer will be! It is as if the answer is there, we are just waiting for God to confirm our presupposition. When, in fact, prayer is to be where God is answering the prayers in His own way and timing - often unexpectedly! By the church community and Christian individuals thinking and acting creatively, many more people would be seeing God in action. Instead of independence, one of the prime hallmarks of being a follower of Jesus Christ is the need to be dependent on others as well as being dependable. This is imbued within the story of Jesus Christ washing His disciples feet. The Church community is to be actively engaged in radically helping people to be transformed and not merely happy. Transformation is a powerful witness to the power of God and shows the relevancy of God and His people. The best way to show this transformation is for the Church leadership to set the example, and show a way forward. Good leadership has good accountability to each other and to the whole Church community. If the church leaders are displaying a transparent life of creatively loving God and others, then the individual Christians within those churches will also seek to be transparently loving God and other people. The media love to report when a Church and/or Church leader has done something inherently wrong Finally, Jesus recommends that those who follow Him be wise like serpents and innocent as doves (Matthew 10v16b). This means that we are to be skilful and shrewd in making decisions that are characterised by intelligence, patience and shrewdness. Additionally, we are to be gentle and harmless, like doves. This would make our church leaders and us accountable to live a life of integrity worthy of the gospel (Philippians 1v27). This is a life, which is seen to be as holy and blameless. In order to do this, we need to depend on the Holy Spirit for strength and caring for others is a vital necessity for you and I. By relying on the Holy Spirit who indwells us, we are therefore perpetually connected to Jesus Christ, who is after all, the Head of the church community who are His bride. The antidote to individualism is the continual creation of radical communities of transformed individual Christians, willing to be totally devoted to God, and each other and being sustained by the Holy Spirit who indwells, empowers, comforts, transforms, sustains and guides! By being radical communities thinking and acting creatively, we will be reflecting a creative Trinitarian God, and the Church will fulfil her bridal mandate of faithfully serving Jesus Christ, in submission to God the Father in the power of the Holy Spirit. Jesus in Matthew 5v43-45 gloriously explains how to do this: "You have heard that it was said, 'Love your neighbour and hate your enemy.' But I tell you: Love your enemies and pray for those who persecute you, that you may be sons of your Father in heaven." And then to verse 48 "In a word, what I'm saying is, Grow up. You're kingdom subjects. Now live like it. Live out your God-created identity. Live generously and graciously toward others, the way God lives toward you." Now that is the key to radically transformed communities and the antidote to individualism! For more to think about please do ask yourself the following questions, writing them down if you can, and see how you respond or react to them. Then why not share your answers with your spouse or a close friend, so that you can pray over any issues together. Q1. What in my life could I change, so that the focus is away from myself and onto helping others? Q2. How can my church and I reflect the Trinitarian God by being creatively loving, transforming and serving? Q3. How can I help my church be more relevant in the community where it is located? 1 Peter 5:5-6 "All of you, clothe yourselves with humility toward one another, because, "God opposes the proud but gives grace to the humble." Humble yourselves, therefore, under God's mighty hand, that he may lift you up in due time." Contrast those values to those of the twenty first century society, where morality can be summed up in this kind of attitude: "The more you care for others, the more they will care for you." So look after the interests of others and you will also be looked after. In other words everyone is on level parity and there is total equality within society. In some of the more narcissistic and cynical parts of society, there is no other, the order is "me, me and more me and I am far more important and higher than anyone else". Individualism is where the individual's importance is placed higher than all others and is imbued with self-reliance and personal independence. Even when help and compassion are offered, so often there are strings attached and hoops to be jumped through. If you do this, we will do this for you. And sadly, it is not just within society that this exists, but also within the church and amongst Christians.It is as if we are denying the basic rule of compassion and mercy, which dictates that we are to be serving others, because they are also humans created in the image of God, loved by God and so should be loved unconditionally by those who proclaim to be God's people - the Church. Denying that basic need to others is pure unadulterated selfishness and places others below our own selves. Individualism within the church, lends itself to hypocritical behaviour and attitudes, which are inconsistent with Scripture and behaviour. Individualism, where you as an individual are placed at the front of the queue, is not loving others and not considering others higher than yourself. It certainly could not be construed as serving other people to always place your own desires above all others. There is an old acronym JOY - Jesus first, Others second, Yourself last. If we want the church of today to grow then we need to be building a strong community of faith. A community, which involves joining together isolated and solitary individuals and where people are imbued with love, valued and are showing care to each other, in particular the frail, elderly and young, with what the theologian Jürgen Moltmann calls a "creative passion for the impossible." An inherent human need is the need to belong, and by fulfilling relational needs, the radical Church community will become relevant to the people within it. It will then also become relevant to those who are on the outside and looking in. For example, by using virtual reality, digital space and social networks, the housebound and geographically isolated peoples can also be included and cared for.This involves improving present societal conditions, rather than remaining a conservative community, which merely repairs the status quo. In doing this, today's church will be emulating characteristics of the early church (Acts 2v44-45). As individuals Christians were added to the church, discipline helped ensure that the community was being seen as a holy community. We see in the early church as recorded in the Book of Acts, that to be excommunicated from the community for gross sin, was a severe punishment. However church discipline is not primarily about punishment, but rather a formative and corrective service as part of Discipleship. Church community discipline is foundational to the making of Christian Disciples, because it concerns the community's spiritual health, and strengthens the bonds with the local community. When, in fact, prayer is to be where God is answering the prayers in His own way and timing - often unexpectantly! By the church community and Christian individuals thinking and acting creatively, many more people would be seeing God in action. Instead of independence, one of the prime hallmarks of being a follower of Jesus Christ is the need to be dependent on others as well as being dependable. This is imbued within the story of Jesus Christ washing His disciples feet. The Church community is to be actively engaged in radically helping people to be transformed and not merely happy. Transformation is a powerful witness to the power of God and shows the relevancy of God and His people. The best way to show this transformation is for the Church leadership to set the example, and show a way forward. Good leadership has good accountability to each other and to the whole Church community. If the church leaders are displaying a transparent life of creatively loving God and others, then the individual Christians within those churches will also seek to be transparently loving God and other people. The media love to report when a Church and/or Church leader has done something inherently wrongFinally, Jesus recommends that those who follow Him be wise like serpents and innocent as doves (Matthew 10v16b). This means that we are to be skilful and shrewd in making decisions that are characterised by intelligence, patience and shrewdness. Additionally, we are to be gentle and harmless, like doves. This would make our church leaders and us accountable to live a life of integrity worthy of the gospel (Philippians 1v27). This is a life, which is seen to be as holy and blameless. In order to do this, we need to depend on the Holy Spirit for strength and caring for others is a vital necessity for you and I. By relying on the Holy Spirit who indwells us, we are therefore perpetually connected to Jesus Christ, who is after all, the Head of the church community who are His bride.The antidote to individualism is the continual creation of radical communities of transformed individual Christians, willing to be totally devoted to God, and each other and being sustained by the Holy Spirit who indwells, empowers, comforts, transforms, sustains and guides! By being radical communities thinking and acting creatively, we will be reflecting a creative Trinitarian God, and the Church will fulfil her bridal mandate of faithfully serving Jesus Christ, in submission to God the Father in the power of the Holy Spirit. Jesus in Matthew 5:43-45 gloriously explains how to do this: "You have heard that it was said, 'Love your neighbour and hate your enemy.' But I tell you: Love your enemies and pray for those who persecute you, that you may be sons of your Father in heaven." And then to verse 48 "In a word, what I'm saying is, Grow up. You're kingdom subjects. Now live like it. Live out your God-created identity. Live generously and graciously toward others, the way God lives toward you." Now that is the key to radically transformed communities and the antidote to individualism!For more to think about please do ask yourself the following questions, writing them down if you can, and see how you respond or react to them. Then why not share your answers with your spouse or a close friend, so that you can pray over any issues together.Q1. What in my life could I change, so that the focus is away from myself and onto helping others?Q2. How can my church and I reflect the Trinitarian God by being creatively loving, transforming and serving?Q3. How can I help my church be more relevant in the community where it is located? So we see that from many different cultures from over 200 countries on this planet, there are many differences - rich in variety and stark in contrast! And that is why we have come together - gathered from many different traditions and cultures, to both see and show brief cultural insights. If we were to take a more indepth look into a culture that is different from our own, we would see in it, both likes and dislikes and also similarities. The things that are acceptable to me in a cultural sense, may well shock you, because of your cultural upbringing. Some of what we are as people is because of the culture we were born into and raised within. Take for example, an El Salvadorian wedding, where the husband at the post-service reception places his wife's left leg on a chair, discreetly lift her dress to the upper thigh and proceeds to pull her garter off with his teeth! This is in front of everybody! He then throws the garter to a gathered group of single men, all eagerly waiting to catch it! Now if you are offended by this, it is probably because of your upbringing in a culture, where at a wedding, which is not the done thing. Somehow I can't see this happening in a Japanese wedding, in case it was deemed offensive, particularly to the guests! But just because something is different from your own culture, does not necessarily mean that it is wrong. Our cultural heritage and upbringing affects our ethics, lifestyle, family values, and worldview and so on. Culture also has a place and a say in our religion. Some cultures insist that you follow a particularly religion out of respect for tradition, whether that is nominal Christianity, Hinduism, Buddhism Islam, Zionism, Taoism, Shintoism, Spiritism or any other ‘ism' which is your cultural norm. Sometimes there are severe pressures and penalties to pay if you want to change your religion, say to Christianity from Islam. Now I am a Christian, a follower of Jesus Christ. I believe that Jesus, was, is and always will be God! So what does Jesus have to say about culture and cultural differences? Jesus kept all the cultural tradition, as a good Jewish man that did not affect his own personal holiness and offend those to whom he engaged in a cross-cultural exchange. Whether it was a Roman centurion; a Canaanite woman; Samaritans; Greeks or other cultures, Jesus was always sensitive to their particular problems regardless of his cultural traditions, taught to him about not touching or talking to foreigners, women, sick and poor people. He continually broke the traditional cultural religious taboos, by doing these things, and that is one of the reasons that Jewish authorities hated him and plotted to kill him. That is ok, you might be thinking if you are not a follower of Jesus. You may well be thinking that I am a Christian because I was bought up in a Christian country and it is your cultural tradition to follow this Jesus. But if you are thinking that, then maybe you are also thinking that Jesus is only for Jews and those in the West where Christianity is the normal religion. You may also be thinking that Christianity is not for you because your tradition and culture say that you must follow another religion. I am a Christian because Jesus was pursuing me! True my upbringing in a country which at least is nominally Christian did pay a small part in my turning to follow Jesus Christ. But by becoming a Christian, I rebelled against my parents and against my culture. The main reason I am a Christian, is because Jesus Christ was chasing me. I have decided to follow him - will you follow him or reject him? You may well reject Jesus Christ as your Saviour and the Son of God because you don't know enough about him yet. If that is your reason then read about him in the Bible. Or you may well reject him because you simply don't want to acknowledge him for who he is. That at least is honest! But please, don't reject him simply because your culture says to stick to your own cultural or national religion. That is just patronising nonsense. Jesus is for all people of all time, all nations and all cultures. Jesus, as we read in the Bible, crosses all cultural boundaries and welcomes all to his searching and outstretched arms. Don't let culture be the excuse for not accepting Him as your God and saviour. Jesus is and always will be the Son of God, the saviour for all people of all nations, languages and cultures for all time. In John 12v32, Jesus said that he will draw all people to himself. So, come. Come to Jesus and start to follow him right now! For those of us who are already followers of Jesus Christ, what does the Bible tell us about culture and following Him. The Bible tells us to be holy, following Jesus Christ as Lord, and growing in righteousness. It is hard for us, because the Christian life is demanding and yet also exciting! We use all sorts of excuses for sinning; that is doing wrong against God and others. Sometimes we use the excuse that is part of our individual cultural identity to do that, so ergo, it can't be wrong! In some cultures, man can have more than one wife; in still others men treat women as a little lower than slaves or dogs. The Aussie culture is well known for its arrogance, insulting and being rude to all and sundry. Other cultures place emphasis on gross materialism & collecting possessions at all costs. Yet other cultures and countries, allow indifference to the suffering of the poor and sick in their community, putting their low position in society down to bad luck, kismet or fate. Now we know that all these things are wrong because the Bible clearly tells us they are wrong. The Bible says only have one wife, love and respect each other. The Bible says love one another; don't be rude but be humble and not arrogant. The Bible says take care of the poor and sick in the community. The Bible says don't accumulate possessions for possessions sake. And yet we can use the cultural barrier excuse to try and justify our sins, time and time again. When our cultural traditions cross over the lines of sin, drawn out for us in the Bible, then we must at all costs to ourselves, stop doing them! Now I am not saying do away with all our cultural traditions - just those that are clearly unbiblical and hinder our path to personally holiness and personal righteousness. Let us follow the example of our Lord Jesus Christ. Be prepared to sacrifice your cultural taboos at all cost to yourself and run the race set for you, whilst keeping your cultural differences. So, in conclusion, those of you who are not yet followers of Jesus, don't let your culture and traditions stop you from deciding to follow Jesus and running to those outstretched arms that are waiting for you. For those of us who are already followers of Jesus and believe in him for our salvation, let us stop using our cultural traditions as excuses for sinning. Repent of any attitude, behaviour or action that causes you to sin. 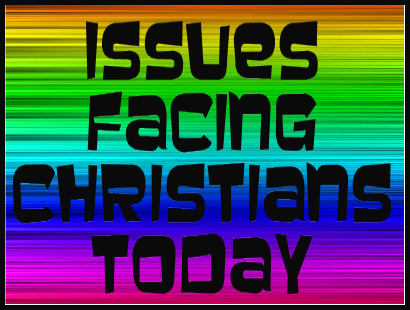 G'day and welcome to Partake and our series looking at some of the issues facing Christian Disciples in the twenty first century. Last time we looked at Materialism, and today we look at something that has the capability of affecting every person on the planet.Jesus, our Master, said in Matthew Chapter 12 "How do you suppose what you say is worth anything when you are so foul-minded? It's your heart, not the dictionary, which gives meaning to your words. A good person produces good deeds and words season after season. An evil person is blight on the orchard. Every one of these careless words is going to come back to haunt you. There will be a time of Reckoning. Words are powerful; take them seriously. Words can be your salvation. Words can also be your damnation." Jesus took words extremely seriously and so must we for we are a result of our speech and we will be judged for what we say. Have you guessed what issue we will be talking about? Yes - that's right - the issue is about Words! Words matter and for the Christian disciple they are off the utmost importance as the building blocks of communication: whether by thought or through the tongue. One of the greatest sins of the twenty first century, that all Christian Disciples need to be wary of, is the use of words. Communication, which is cynical, sarcastic, murderous and discouraging, surrounds us and we are coerced to join in, when in fact we should be standing alone against it. The twenty first century is the communications century - everything can be communicated around the world at the click of a mouse button. What we say, think and write has the potential to be a sinful action or a sinful inaction. Regardless of what other people say or do, we are to speak, think and write without sinning. Let those be responsible before God for their own actions and inactions - you are only responsible for yours!Words are the central means of communication regardless of our language, nationality or culture. Needless to say that every one of us has either been hurt, or has hurt others, by communicated words. The power of the tongue in communication and speech is awesome. It has the power of life & death and those who love it will eat & bear its fruit. The tongue is a fire, which left unguarded, can corrupt the whole body and set the whole course of life on fire. We need to watch the words we speak and control our speech, or it will control us. So what is a right use of the tongue in communicating? We are to use our words to nourish others, encourage and lift them up. For the tongue of the righteous is choice silver. (Prov.10:21). Pleasant words are a honeycomb, sweet in the soul and healing to the bones. We find that if we give an apt reply we will find joy and discover the goodness and healing a timely word brings! But we are not to speak glibly and hypocritically but with truth, sincerity and love - as a mother speaks to her daughter. How can we guard its use? By asking the Holy Spirit to watch over our lips and set a guard over our mouth, according to the Psalmist in Psalm 141:3. It is a measure of wisdom to speak words when required and with discernment. Any fool can speak words all the time, but sometimes there is a need for silence, for even then foolish people are thought to be wise. Frequently, we are told by the world to be quick to speak and slow to listen. But as Christian Disciples we are to do the opposite, and stand alone against it! We are to be slow to speak and quick to listen, according to James 1:19. Jesus' words encouraged and healed, such as to the woman caught in adultery, when he used discernment and wisdom. He actively encouraged others gently towards paths of right living. He spoke words lovingly to his mother. He even spoke words of kindness whilst He hung from His cross, during his last moments before death! He is to be our guide and Master in the use of speech, thoughts and words. That is not to say he didn't rebuke with an attitude of love, as he most certainly did on occasion to the Pharisees and other religious leaders.Matthew 5v21-22 is an example of the seriousness of words. Jesus speaking: "You have heard that it was said to the people long ago, 'Do not murder, and anyone who murders will be subject to judgment.' But I tell you that anyone who is angry with his brother will be subject to judgment. Again, anyone who says to his brother, 'Raca,' is answerable to the Sanhedrin. But anyone who says, 'You fool!' will be in danger of the fire of hell. "Here Jesus equates calling somebody a fool with the physical act of murder! Murder has its beginning in anger developing into uncontrollable rage! Words, thoughts and attitudes of anger can lead the Christian Disciple to sin even more if they aren't stopped quickly. Similarly, adultery has its beginning in lustful thoughts! The words we formulate in our minds and those that proceed via our mouths are of utmost importance to God and therefore should be of utmost importance to us! Let the words you communicate and think about, be like those of Jesus - "full of grace". Do not sin, either in your deeds, in your thinking and all means of communicating. How are you doing in your use of words? Are your actions backing up your words? Are the words you use always full of grace, uplifting, encouraging and building! Sure there are times when words are to be used for rebuking in love, but always used under the control of the Holy Spirit. The words you speak reflect your inner attitudes, your inner thoughts and your inner being. The words you speak and communicate reflect who you are. If the words you communicate are derogatory, inflaming and cursory then that reflects your inner thoughts and attitudes. Control your tongue, commands James. A person who controls their tongue can be likened to a ship with a rudder, and able to be steered to safety! An uncontrolled tongue reflects a ship that is heading into dangerous water! Your words and all your communication have the power to bring life and encouragement but also on the contrary, has the power to bring corruption, degradation and death. Let the Holy Spirit who lives inside you if you are a Christian Disciple; help you to use your words for the supreme glory of Jesus Christ, who after all is your Master! By doing that, you will truly be seen to be one of His disciples and be Standing Alone for Him and His majesty! He is to have supremacy over all things in your life, including your words! Make no mistake, one of the issues facing Christians and a possible barrier to standing alone, is the use, abuse and misuse of words. For more to think about please do read James 3vv1-11. Ask yourself the following questions, writing them down if you can, and see how you respond or react to them. Why not share your answers with your spouse or a close friend, so that you can pray over any issues together. Q1. Are the words I speak, words that heal and encourage, or are they also used to hurt and damage people? Q2. When I am talking with other people, is it for gossiping, maliciousness or are they for healing, encouraging and uplifting others? Q3. When was the last time I confessed and asked forgiveness for my sinful use, misuse and abuse of words?Thank you.